I read this book in one evening because I was that drawn into Anita’s story. She doesn’t hold back in describing the horrors for Jews in concentration camps, and she also doesn’t hold back in telling how God was at work and protected her and her family through the worst of it. 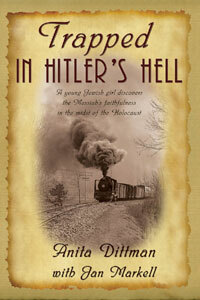 While the story reminded me of other accounts of the holocaust such as The Hiding Place, this is different because it is told from the perspective of one who experienced it as a child and teenager rather than as an adult. In Anita’s account, the reader is able to see how God reached out to a young Jewish girl through a Christian pastor and neighbor, and how her faith in Jesus as Messiah sustained her through every trial, including being abandoned by her non-Jewish father. Click here to read more. Yungen pulls back the wrapping to reveal what many mainstream denominations and celebrity authors and pastors are really teaching, and what Christians are embracing as biblical that is actually rooted in Eastern religion and even the occult. 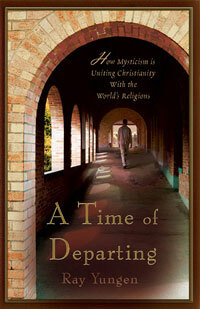 I appreciated that the author isn’t giving his personal opinion; he instead uses the very words of these teachers (Richard Foster, Rick Warren, Brian McClaren, and Henri Nouwen, to name a few) and those of scripture to make a case against the contemplative spirituality teachings and doctrines of the Emergent Church. This entry was posted on Thursday, April 7th, 2011 at 11:37 pm and is filed under Book/DVD Reviews. You can follow any responses to this entry through the RSS 2.0 feed. Both comments and pings are currently closed.